The leader of North Korea called for his country to expand its underwater warfare capability in the face of so-called western aggression, according to a press release from the state controlled Korean Central News Agency. 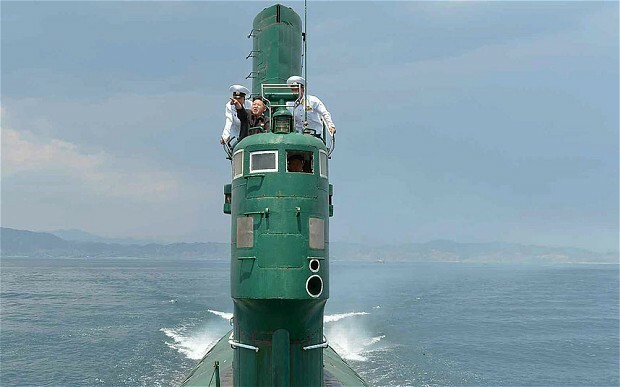 During a visit to Navy Unit 167, Kim Jong Un was photographed underway on what appears to be 1950s era Project 633 diesel electric submarine — one of about 20 in the North Koreans fleet assembled domestically from Chinese parts based on a Soviet design. “The Party Central Committee is attaching great importance to the combined units of submarines,” Kim as said, according to the KCNA. The dictator also outlined a vision for an expanded submarine force with, “the tasks to be fulfilled to round off the combat preparations of the unit and remarkably bolster up the underwater operation capability of submarines and modernize and fortify bases,” KCNA said. 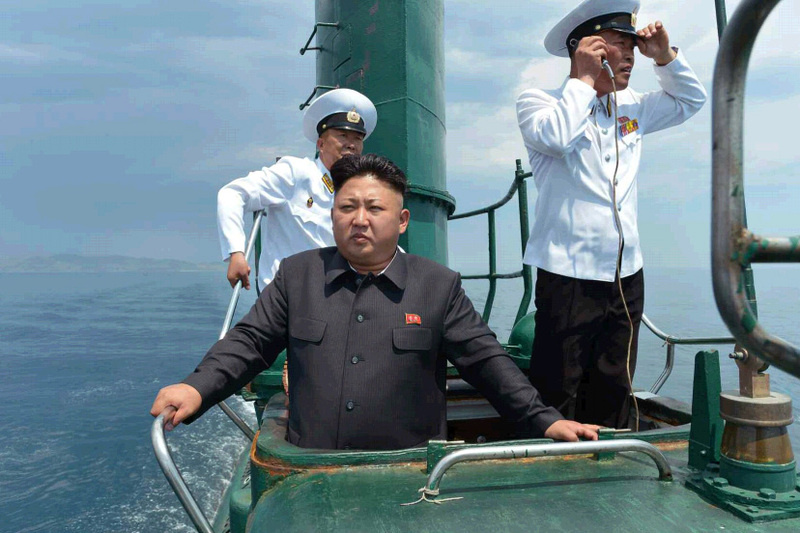 Kim also reportedly provided instruction to the crew and, “set the course of the submarine to the captain and taught him a good method of navigation,” according to KCNA. North Korea’s submarine force is mostly used as a platform for special operations forces and provides a limited capability for guarding North Korea’s coastline. The regime has exported a variant of its Yono-class midget submarine to Iran for its Ghadir-class boats. A North Korean submarine allegedly sank the South Korean corvette ROKS Cheonan in 2010. Like his father, Kim Jong Un is often seen with North Korean military hardware as part of the country’s international propaganda mission. Sam LaGrone is the USNI Online Editor at the U.S. Naval Institute. He was formerly the U.S. Maritime Correspondent for the Washington D.C. bureau of Jane’s Defence Weekly and Jane’s Navy International. In his role he covered legislation, acquisition and operations for the Sea Services and spent time underway with the U.S. Navy, U.S. Marine Corps and the Canadian Navy. Sam is a 2003 graduate of Virginia Military Institute.